Customers looking for powerful crossovers and SUVs will find that Toyota has a great variety of available options. From truck-based SUVs to affordable and fuel efficient crossovers there is a model for just about every customer. Not sure what Toyota SUV is the right one for you? 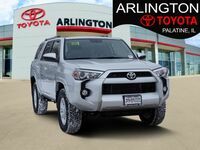 Take a look at this 2017 Toyota 4Runner vs 2017 Toyota RAV4 comparison to learn more. The 4Runner and RAV4 couldn't be more different. 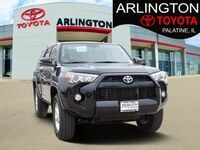 To start, the Toyota 4Runner is a truck-based SUV which means customers will find more towing strength and a powerful engine with off-road capability. The Toyota RAV4 is a crossover that is great for adventurous families and couples with its spacious interior, great fuel economy and more. 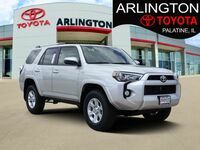 Buyers looking for extreme power will love the 2017 Toyota 4Runner which is powered by a standard 4.0-liter V6 engine with 270 horsepower and 278 pound-feet of torque and a standard towing capacity of 5,000 pounds. 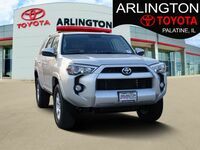 The 4Runner is also available in 4x2 or 4x4 configurations. The 2017 Toyota RAV4 is powered by a 2.5-liter four-cylinder engine with 176 horsepower and 172 pound-feet of torque. 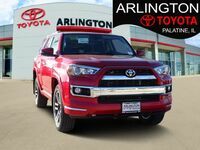 Customers will find that the RAV4 may not offer the high towing capacity as the 4Runner but with 1,500 pounds of towing capacity and up to 30 highway mpg, the RAV4 is a great alternative. The RAV4 is only available in a five seating configuration but the 4Runner is available in either five or seven seating configurations. 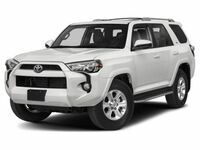 The 4Runner and RAV4 are fairly comparable in cargo volume but 4Runners with three rows of seating will offer limited cargo abilities. 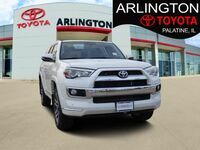 Interested in learning more about the 4Runner or RAV4? 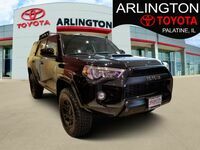 Contact us at Arlington Toyota to talk with a team member or to schedule a test drive for any of our available models at our Palatine dealership.